Host Benyamin Cohen (right) at the home of Michael Pasikov in Beit Shemesh, Israel. Pasikov’s piano is in the background. (Photo: From the Grapevine). 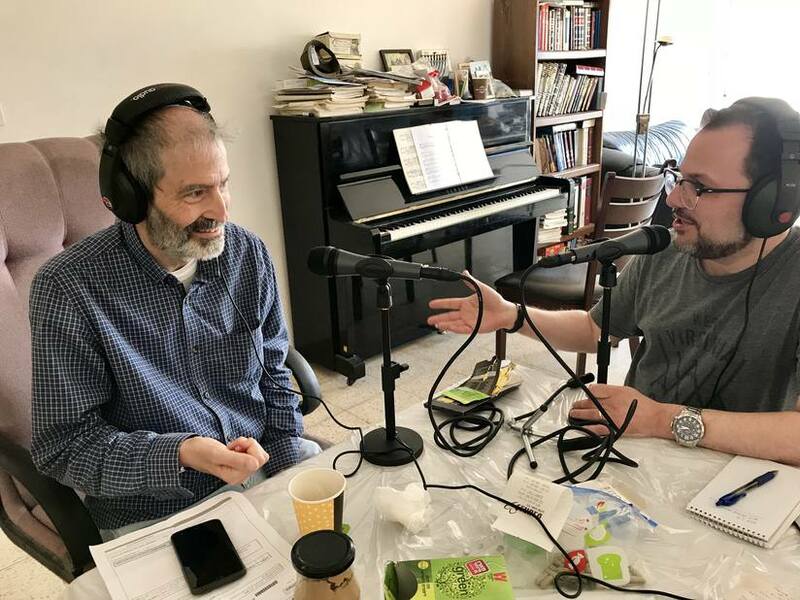 After keeping his promise to perform 100 concerts for charity if he survived his cancer, Michael Pasikov, Hadassah Medical Center patient, cancer survivor, and pianist, lost the use of his right hand. To hear the story of Mr. Pasikov’s life journey, liisten to the podcast “FromTheGrapevine.com” or read the full transcript.